Our IOT solutions and MIMO devices integrate voice, video, email, and web traffic alongside SCADA data from RTU’s, sensors, and control points - on a single all-IP network featuring centralized end-to-end administration. Narrowband wireless networks are rapidly deployable and enable utilities to connect people and things within operational range. Private wireless networks provide steadfast communications for concurrent applications, and maximize connectivity, affordably. Smart Metering, substation switch and circuit control, SCADA telemetry, remote office connectivity, video surveillance, and asset tracking can all be consolidated into one cost-effective IP network. Wireless solutions are optimal for critical infrastructure applications because fiber isn’t everywhere, and 3G/4G data services offer fewer essential features at a higher cost. cnReach is available in both the 700 MHz licensed and 900 MHz licensed/unlicensed spectrum, and as an IO Expander, enabling Cambium’s other broadband products and MU-MIMO devices to take advantage of cnReach’s extensive I/O capabilities, such as two serial ports, two Ethernet ports, and 8 digital/analog IO pins. Notes: The cnReach N500 900 MHz product is a single module that can be configured for either license or unlicensed operation and extensive I/O eases the migration to a reliable all-IP network. Adaptive modulation and access point synchronization enables scalability in the most dense environments. 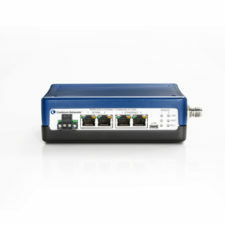 Notes: The cnReach N500 700 MHz provides reliable licensed band connectivity with extensive I/O capabilities to ease migration to all-IP networks. With dual radio options, a 5 W output power and adaptive modulation the 700 MHz cnReach enables connectivity in the most diverse environments. 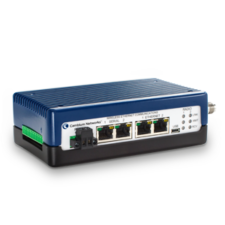 Notes: The cnReach IO Expander has a rich set of IO features that increases the number of applications and data sources that can be served by wireless networks. The IO expander can be added to other cnReach radios as well as broadband radios such as PTP 650, PTP 450i and PMP 450i SM’s.